Pre-order Asus Zenfone AR now and get exciting FREEBIES. 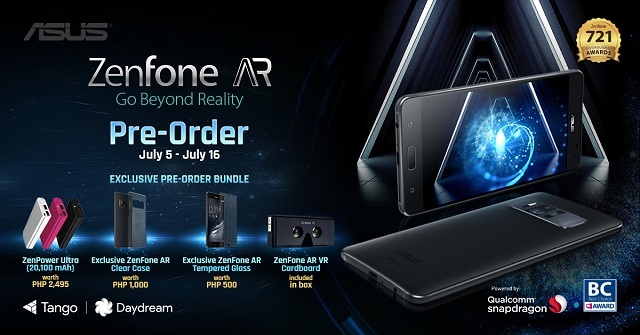 Asus opens pre-order period of the Zenfone AR today until July 16. The handset is the first-ever Tango and Daydream-powered smartphone to hit the Philippine shores. Successful pre-orders will get a a ZenPower Ultra with 20,100 mAh battery, exclusive Zenfone AR case, Tempered Galss and a Zenfone AR VR Cardboard. 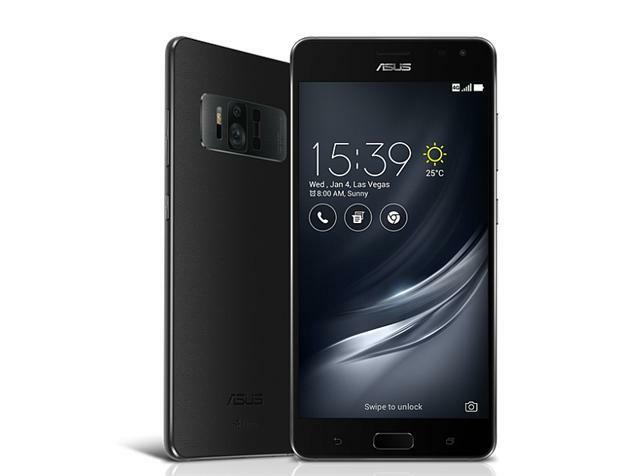 The Asus Zenfone AR is the latest flagship smartphone of the company. It features the Qualcomm Snapdragon 821 SoC and a 5.7-inch QHD 1440 x 2640 display. Under the hood, the handset boasts 8GB of RAM with up to 256GB internal storage. On the flip side, the Zenfone AR comes with a powerful camera. In fact, it is loaded with a 23MP Sony IMX318 sensor with laser AF. It also features an 8MP front facing shooter. This powerful beast is powered by 3300 mAh battery for longer usage away from the wall outlet. Pre-order now to be the first to get the Asus Zenfone AR.